Hong Kong is an incredible city and what I consider the gateway to Asia. Just about every local speaks English here so for first-time travellers to Asia, it's the perfect city to start in. 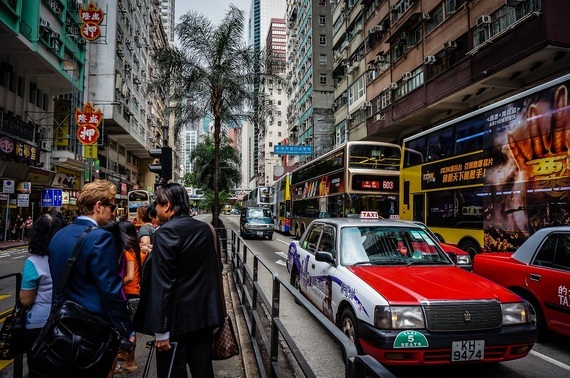 With a population of more than 7 million in the city, space is limited in Hong Kong. Hong Kong is an incredible city and what I consider the gateway to Asia. Just about every local speaks English here so for first-time travellers to Asia, it's the perfect city to start in. 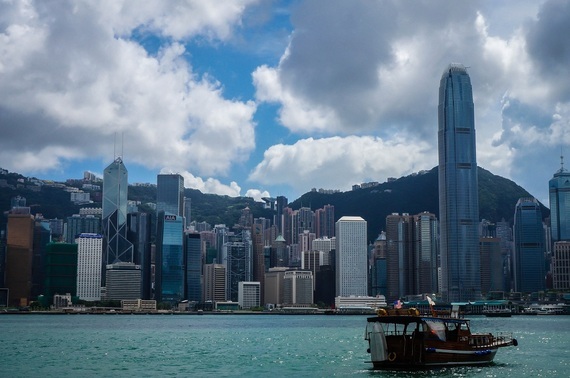 With a population of more than 7 million in the city, space is limited in Hong Kong. Visitors will have to pay a premium if they're looking for luxury and space or accept smaller accommodations to keep their budgets in check. Regardless of what your budget is, the best places to stay in Hong Kong really are a matter of opinion. Each area has their pros and cons, but since the city has great public transportation, it doesn't really matter too much where you stay. Below I'll highlight the most popular areas and give you a breakdown of what to expect. Central - This may be the financial core of Hong Kong, but Central is an attractive place to stay since it's located near Lan Kwai Fong and Victoria Peak, two of the most popular spots in the city. Lan Kwai Fong is where expats and locals go to drink, club, and eat while Victoria Peak will give you breathtaking views of the city. Other notable attractions nearby include Man Mo Temple, the Mid-Levels Escalators, and the International Finance Center. One MTR stop west of Central is Sheung Wan. This area is a good alternative to Central since it's only a 15 minute walk away, but has many budget friendly hotels. Tsim Sha Tsui - Located at the base of Kowloon (the mainland of Hong Kong) is Tsim Sha Tsui (commonly known as TST), a popular spot for tourists. The biggest draw is most likely the proximity to Victoria Harbour which will give you stunning views of the Hong Kong's skyline. You'll also be able to access the Avenue of Stars, Hong Kong's version of the Hollywood Walk of Fame. Other attractions nearby include Nathan Road which is famous for its neon signs, restaurants, and shopping options. Brand name hotels including the Sheraton, Peninsula, and InterContinental can be found in TST, but there are also plenty of "cheap" options available since many hostels and low-budget hotels are located in the Chungking Mansions. This may sound appealing, but you should only seriously consider staying here if you have no budget. Mong Kok - This is the area I stayed during my last visit to Hong Kong and it's where I recommend people who prefer Airbnb to look first. As a mainly residential area, there are plenty of Airbnb options. It's also within walking distance of the Temple Street market and Langham Place which is a good contrast between old and new Hong Kong. I should note that Portland street is where a lot of prostitutes hang out, but it's still a safe area to stay. Wan Chai - Wan Chai is mainly a commercial area, but the appealing part about staying here is the fact that many hotels and Airbnb rentals are cheaper than those in the neighboring area of Causeway Bay which is arguably the best place to shop. The only attraction of note is the Golden Bauhinia Square which is located outside the Hong Kong Convention and Exhibition Centre, but jump on the MTR and you'll be able to get anywhere fast.